These Terms and Conditions apply to and regulate the provision of financial services provided by One Finance & Investments Limited, a financial institution licensed by the Central Bank of Nigeria (CBN) which provides financial services via its flagship mobile app – Carbon® (hereinafter called "One Finance") to the Customer herein. These Terms and Conditions constitute One Finance's offer and set out the terms governing this Agreement. 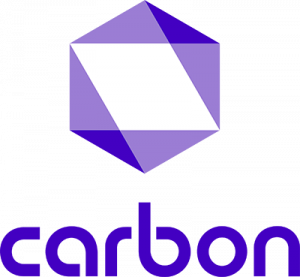 Carbon® is an open-end credit plan offered by One Finance and BY ACCEPTING THIS ONLINE OFFER, A Carbon ACCOUNT IS SET UP WITH ONE FINANCE and you agree that you have read these Terms and Conditions. You authorize One Finance to review your credit report and you understand that this account may be subject to transaction fees and default fees and is governed by the Laws of the Federal Republic of Nigeria. PayVest® is an online investments platform that enables you to put away funds you do not want to touch easily. By setting up a PayVest® account, you have chosen to invest a minimum of NGN 50,000 in an investment account subject to the terms and conditions herein as well as those specified in the term sheet (hereinafter referred to as “PayVest Term Sheet”) which shall be emailed to you upon investment. By accepting these Terms and Conditions, you have agreed to open a virtual wallet (hereinafter called “Wallet”) wherein all approved loan applications on Carbon shall be disbursed. You may also use your Wallet for certain payment services available on Carbon®, or you may use same for PayVest® wherein you may opt to invest funds subject to the terms thereof. You will be asked to provide information (such as your date of birth and your Bank Verification Number) when you apply for a Carbon® loan, as well as your current residential address, and/or any other KYC requirement as may be prescribed by the Central Bank of Nigeria from time to time, for the opening of a PayVest® account. This information shall be used for verification purposes. In order to ensure that we are able to provide communications to you electronically, you must notify us of any change in your email address and your mobile device number or other text message address by updating your profile on the Carbon® app. This is an open-end credit account where you access direct loan or credit facility using Carbon®, while you repay the loan or credit facility on a future date via cash transfer or electronic repayment from your Wallet on the Payment Due Date at a flat interest on the loan of up to 1% daily. In this agreement, the terms: “You”, “your”, “Customer”, “Borrower” shall mean the person who applied for this Account and agrees to this Agreement while “We”, “us” and “our” and “Lender” shall mean One Finance, and following an assignment, any person, company or bank to whom the rights and/or obligations of One Finance have been assigned. 1.1 You must: (a) accept and agree to these Terms and Conditions; (b) register with us on the Carbon® app; (c) be a Nigerian citizen (or a legal Nigerian resident) of at least 18 years of age; (d) have a bank account with a Nigerian financial institution; and (e) provide all information as may be requested by us, such as your name, email address, mobile device number, online credentials for your bank account, and such other information as we may request from time to time (collectively, “Customer Information”). 1.2 You represent and warrant that all Customer Information you provide us from time to time is truthful, accurate, current, and complete, and you agree not to misrepresent your identity or your Customer Information. 1.3 You agree to promptly notify us of changes to your Customer Information by updating your profile on the Carbon® app and to notify us at least five business days before any changes to your bank account information, including, but not limited to, the closure of your bank account for any reason. 1.4.1 For our compliance purposes and in order to provide the Wallet services to you, you hereby authorize us to, directly or through a third-party, obtain, verify, and record information and documentation that helps us verify your identity and bank account information. iii) Such other information and documentation that we may require from time to time. 1.5 By using the Wallet and providing User Information to us, you automatically authorize us to obtain, directly or indirectly through our third-party service providers and without any time limit or the requirement to pay any fees, information about you and your bank account from the financial institution holding your bank account and other third-party websites and databases as necessary to provide the Wallet to you. For purposes of such authorization, you hereby grant One Finance and our third-party service providers a limited power of attorney, and you hereby appoint One Finance and our third-party service providers as your true and lawful attorney-in-fact and agent, with full power of substitution and re-substitution, for you and in your name, place, and stead, in any and all capacities, to access third-party websites, servers, and documents; retrieve information; and use your Customer Information, all as described above, with the full power and authority to do and perform each and every act and thing requisite and necessary to be done in connection with such activities, as fully to all intents and purposes as you might or could do in person. 1.6 YOU ACKNOWLEDGE AND AGREE THAT WHEN ONE FINANCE OR OUR THIRD-PARTY SERVICE PROVIDERS ACCESS AND RETRIEVE INFORMATION FROM SUCH THIRD-PARTY WEBSITES, ONE FINANCE AND OUR THIRD-PARTY SERVICE PROVIDERS ARE ACTING AS YOUR AGENT, AND NOT THE AGENT OF, OR ON BEHALF OF THE THIRD PARTY. 1.7 You agree that other third parties shall be entitled to rely on the foregoing authorization, agency, and power of attorney granted by you. We make no effort to review information obtained from the financial institution holding your bank account and other third-party websites and databases for any purpose, including, but not limited to, accuracy, legality, or non-infringement. As between One Finance and our third-party service providers, One Finance owns your confidential Customer Information. app; (c) be a Nigerian citizen (or a legal Nigerian resident) of at least 18 years of age; (d) have a bank account with a Nigerian financial institution; and (e) provide all information as may be requested by us, such as your name, occupation, email address, mobile device number, online credentials for your bank account, and such other information as we may request from time to time (collectively, “Customer Information”). 3.2 You represent and warrant that all Customer Information you provide us from time to time is truthful, accurate, current, and complete, and you agree not to misrepresent your identity or your Customer Information. 3.3 You agree to promptly notify us of changes to your Customer Information by updating your profile on the Carbon® app and to notify us at least five business days before any changes to your bank account information, including, but not limited to, the closure of your bank account for any reason. 3.4.4 Such other information and documentation that we may require from time to time. 3.5 Each time you make an investment, One Finance shall send a PayVest Term Sheet to your designated email address showing details of the investment made as well as the applicable terms thereof. We can provide materials and other information about your legal rights and duties to you electronically. We are authorized to share, receive and use data/information collected from your transaction with other affiliated third parties including but not limited to switching companies, mobile network operators, electricity companies, aggregators, credit bureaus, other financial institutions, e-commerce platforms etc. You hereby expressly consent and authorize One MFB to debit your Wallet and/or authorize us or any of our duly authorized agent or partner to debit your designated salary account, or any other bank account linked to your Bank Verification Number (BVN), for the purpose of repaying the Loan with applicable interest as and when due. To access payroll related offers, you have expressly consented and authorized us to verify your salary details with your employer and/or your employer’s appointed salary processors without further recourse to you. Your electronic signature on agreements and documents has the same effect as if you signed them using ink on paper or any other physical means. We can send all important communications, billing statements and demand notes and reminders (collectively referred to as “Disclosures”) to you electronically via our website or to an email address that you provide to us for while applying for this loan. We will alert you when the Disclosures are available, by sending you an electronic communication. We will make the Disclosures available to you from the date it first became available to you, or the date we sent you the email to alert you that it was available. You will be able to print a copy of the Disclosure or download the information for your records. This consent applies to this transaction, to all future Disclosures on this Account, to all future transactions in which you use the Carbon Payment option with us, at any time, and to other Disclosures that we provide to you by email, unless you have, prior to such transaction, withdrawn your consent by the procedure mentioned below. By consenting, you agree that electronic Disclosures have the same meaning and effect as if we provided paper Disclosures to you as we are required to do so. When we send you an email alerting you that the Disclosures are available electronically and make it available online, that shall have the same meaning and effect as if we provided paper Disclosures to you, whether or not you choose to view the Disclosures, unless you had previously withdrawn your consent to receive Disclosures electronically. The Transaction Fee for the use of the Carbon Account shall be up to a flat 1% daily fixed for the term of this loan. The transaction fee does not preclude the Lender from charging default fees, penalty fee and in the event of any dispute arising from these Terms and Conditions – the cost of Litigation/Solicitors’ fees. The Transaction fee may be increased or decreased from time to time by the Lender. Such change in Transaction fee will take effect on the Borrower’s account following a minimum of 15 days written notice. Total transaction fee of the term of the loan shall remain applicable in the event of the Borrower liquidating the loan before expiration. To pay to us, the loan sum, including any convenience, default or penalty fees, flat interest rate, and other amounts due to the Lender charged to this Account. Borrower promises to pay these amounts as agreed in this Agreement on or before the Payment Due Date. The Lender reserves the right to presume that the Borrower has authorized any loan application made in the name of the Borrower using this Account. The Borrower will be deemed responsible for any unauthorized application using this Account unless the Borrower notifies the Lender, in writing, of imminent fraud by another person on the Borrower’s account within 24 hours of such fraud. The Lender shall charge a one-time processing fee the first time a Customer sets up a new debit card on the Account. In the event the card is expired or about to expire, you will have to obtain a renewed card from your bank or provide us with another personal debit card. The Lender shall deduct from the card setup on the repayment due date. We will never make any transactions on the card outside of the scheduled loan repayments. In the event of a double repayment initiated in error by you, we will on a best effort basis process a refund within a reasonable time. You hereby indemnify us against any and all losses, liabilities or damages that may arise in the event that you use a third party’s card on your Account without the consent of such third party. In the event of a default or insufficiency of funds in your bank account, you hereby authorize us to charge any other cards you may have on your Account or profile other than the primary card listed. You understand and agree that we do not store card details on our platform thus card details shall be processed through a secure payment gateway that is PCI DSS compliant. To give The Lender authentic and up-to-date personal, social media, phone and financial records about you that we may reasonably request and analyze, from time to time. To pay all costs of collection if we take any action to collect this Account or take any action in a bankruptcy proceeding filed by or against you. This shall include, unless prohibited by applicable law, reasonable attorneys’ fees and expenses incurred while collection lasts. Not to give us false information or signatures, electronic or otherwise, at any time. To pay a Late Fee or penalty fee as may be provided in this terms and conditions. To make all payments via direct debit on cards or by electronic funds transfer as stated in the application form. To promptly notify us if you change your name, mailing address, e-mail address or telephone number. To honor any other promises that you make in this Agreement. That you will not accept this Account unless you are of legal age and have the capacity to enter into a valid contract. Not to use Carbon for any act of illegality or criminality as Carbon shall not be legally or criminally culpable for any illegality committed by you. To fill out the application form (as provided) with accurate information and details as required. To use all reasonable and legitimate means to collect the amount extended to the Borrower, the default fee, the transaction fees and any other penalty fee imposed on the Borrower as a result of the loan. The Lender or its duly authorized representatives/agents will utilize dedicated Credit Agencies for a credit report on the Borrower in considering any application for credit. The Borrower authorizes the Lender to access any information available to the Lender as provided by the Credit Agency. The Borrower also agrees that the Borrower’s details (excluding the card details) and the loan application decision may be registered with the Credit Agency. By delivery to any email address provided by the Borrower during the application process. By delivery of an SMS to any mobile telephone number the Borrower has provided to the Lender. By posting such notice on the Lender’s website. The Borrower does anything which may prejudice the Lender’s rights in terms of this Agreement or causes the Lender to suffer any loss or damage. the Lender may, without notice to or demand on the Borrower (which notice or demand the Borrower expressly waives), set-off, appropriate or apply any balance outstanding on the Borrower’s investment account held by the Lender, or any indebtedness at any time owed by the Lender to or for the account of the Borrower, against the Borrower’s obligations to the Lender, whether or not those obligations have matured. the Lender reserves the right to assign its right, title and interest under the Agreement to an external Collections Agency who will take all reasonable steps to collect the outstanding loan amount. the Lender also reserves the right to institute legal proceedings against the defaulting Borrower and is under no obligation to inform the Borrower before such proceedings commence. the Borrower shall be responsible for all legal costs and expenses incurred by the Lender in attempting to obtain repayment of any outstanding loan balance owed by the Borrower. Interest on any amount which becomes due and payable shall be charged. In addition to Termination by default, we may terminate this Agreement at any time and for any reason subject to the requirements of applicable law. We may terminate your Account by sending written notice to the address on your application. If there is no debit or credit on your Account for twelve (12) consecutive months, we may terminate this Account without notice to you. When Termination arises as a result of default, you shall not be able to apply for credit in future. This Agreement represents the entire understanding between the Lender and the Borrower. Any amendment to this Agreement shall be made by the Lender from time to time and communicated to the Borrower in writing. The Borrower agrees and undertakes that for the period of this Agreement, the Borrower will not close the Borrower’s specified bank account. This Agreement shall be governed and construed under the laws of the Federal Republic of Nigeria and, in the event of a dispute, shall be subject to the jurisdiction of the courts of the Federal Republic of Nigeria. If The Lender does not strictly enforce its rights under this Agreement (including its right to insist on the repayment of all sums due on the Repayment Due Date) or grant the Borrower an indulgence, the Lender shall not be deemed to have waived or lost those rights and will not be prevented from insisting upon its strict rights at a later date. The Lender reserves the right to transfer or assign its rights and obligations under this Agreement (including its obligation to lend money to the Borrower or the amount owed under this Agreement) to another person. The Lender will only inform the Borrower if such a transfer causes the arrangements for the administration of this Agreement to change. The Borrower authorizes and consents to all lawful access, use or disclosure of the Borrower’s particulars, data and information in the application by the Lender which may include but shall not be limited to purposes necessary to promote or sustain the business of the Lender; and the Borrower waives any claims the Borrower may have against the Lender arising from any such access, use or disclosure.